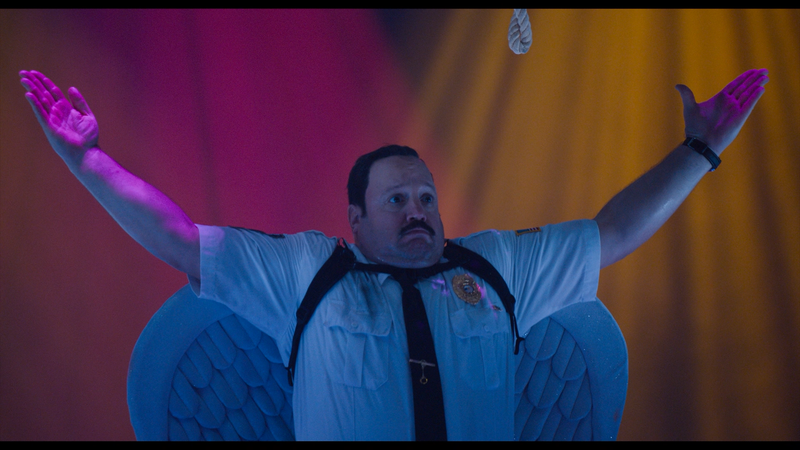 Paul Blart: Mall Cop 2 is a terrible movie. I mean, really bad and the latest blight on the Happy Madison production company, hard to believe they could get much worse, but they’ve done it (though I suppose it’s not as bad as Jack and Jill, so that’s something). The release by Sony offers some thin bonus material while the video/audio transfers are both sufficient. Adam Sandler is poison. Whether it’s acting or through his Happy Madison production company, his movies have stunk. 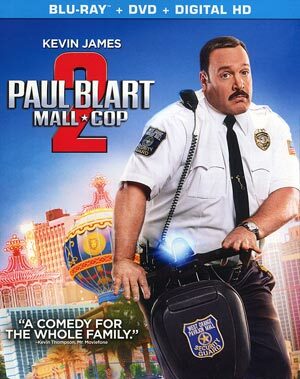 And then there’s Paul Blart: Mall Cop 2, example #156 of an unnecessary sequel. Not only was it unnecessary but all around it’s just not funny. Heck, it doesn’t have the wherewithal to be stupid funny. It was an utter struggle to sit through. If not for Grown Ups 2, it’d be one of the worst comedies I have ever had the displeasure to sit through. 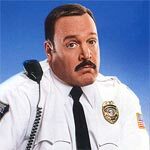 The plot, if you want to use that word, finds Paul Blart (KEVIN JAMES) celebration of his successes following the first film to be short lived with his wife Amy filing for an annulment and his beloved mother is killed, hit by a milk truck. But his luck soon turns around being invited to the Mall Cop convention being held in Las Vegas. So he and his daughter (RAINI RODRIGUEZ) set off for Vegas and it just so happens there’s a crew, led by Vincent Sofel (NEAL MCDONOUGH) is also in town with plans to switch out high valued pieces of art. I really, really did not like this movie. In spite of a reasonable 90-minute running time (sans end credits), it feels so much longer and every, single, stinkin’ minute was excruciating especially when there’s nary a laugh to be had, least of which from its star Kevin James, though in fairness he doesn’t have much to work with. Of course, it’s partially his fault since he co-wrote the screenplay as well as served as a producer. James can be funny but he’s not one of those actors who can overcome bad material. The supporting cast meanwhile doesn’t help matters and for the record, I gave this movie a half of a star out of sheer pity to Neal McDonough who not only felt out of place, but I just felt sorry for him. That said, McDonough appearing in bad movies is nothing new, just see Street Fighter: Legend of Chun-Li. Skip this crap of a movie if only to not support any more of them. On a side note, it is also sad how far down Adam Sandler has fallen from his Happy Gilmore, The Wedding Singer and The Waterboy days. This release comes with a semi-glossy slip cover. Inside is a standard DVD Copy and a redemption code for the Digital HD copy. Gag Reel (7:42; HD) – Here we get some classic line flubs and all around on-set hilarity. 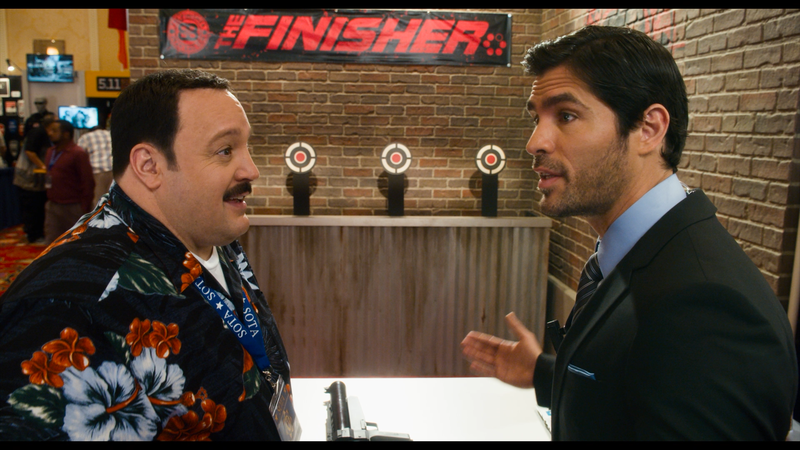 Security Force: The Cast of Paul Blart 2 (4:55; HD) is a featurette breaking down the old and new members of the cast for this sequel with EPK interview footage as they chat about one another. Action Adventure (5:57; HD) covers the action sequences in the movie (such as the luggage tumble down the stairs). Back in the Saddle (1:58; HD) is a short featurette basically advertising the sequel; no real substance. How to Make a Movie (4:12; HD) finds the director, appropriately enough coming out of the bathroom, and talks about helming the film intercut with BTS footage. Le Reve (4:49; HD) goes behind the scenes of the stage play featured in the film. No Animals Were Harmed (2:15; HD) looks at the peacock and his (her?) dumb sequence. Sales Tactics (3:27; HD) is some bonus gag reel footage showing one of the actors, who I guess in real life is an infomercial salesman, “selling” his enforcement equipment. Real Cops (1:16; HD) is another short piece with on-location interviews with the real deal as they mock Blart. I guess they worked security or something. 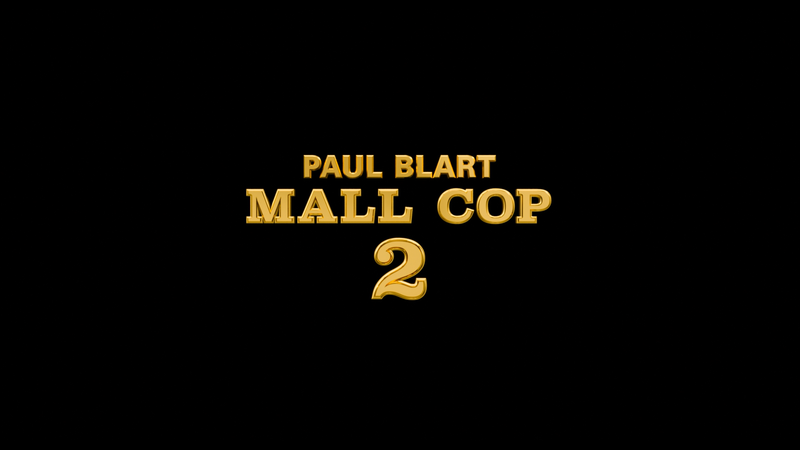 Sony Pictures Home Entertainment releases Paul Blart: Mall Cop 2 onto Blu-ray presented in its original 1.85 widescreen aspect ratio and a 1080p high-definition transfer. The picture itself is satisfactory though nothing I’d describe as incredible. Details are good and colors, in keeping with the light-hearted nature, are bright and cheerful. There didn’t appear to be any signs of aliasing, artifacts or other flaws. The 5.1 DTS-HD Master Audio track provided is adequate with crisp and clear dialogue levels throughout while the few “action”-oriented scenes do give some depth, though it is limited. The score makes up the most of each channel while dialogue remains in the center channel. Overall, Paul Blart: Mall Cop 2 is a terrible movie. I mean, really bad and the latest blight on the Happy Madison production company, hard to believe they could get much worse, but they’ve done it (though I suppose it’s not as bad as Jack and Jill, so that’s something). The release by Sony offers some thin bonus material while the video/audio transfers are both sufficient.